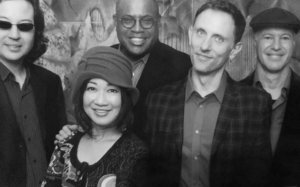 The Turnaround quartet plays original compositions and standards, from straight-ahead swing to blues, Latin jazz, bossa nova and soul. The band features award-winning singer and composer Raquel Berlind and drummer/musical director Alexey Berlind. The Turnaround has been performing at the finest stages and venues of the Bay Area and beyond since 2007.